Mention the words 'F1 driver' to many people and the image that they conjure up is of a man who has it all, courted by leading teams who are willing to lavish millions of dollars on him so he can indulge his love of the high life as he jets around the world enjoying the ultimate luxuries. 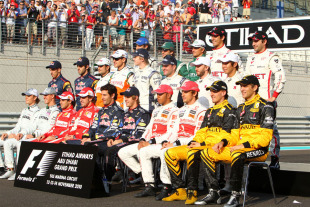 But for many drivers on the grid in 2011 it will be quite a different story. Rather than focussing on spending their wages they will instead be scraping together every last penny to support a career at the tail end of the grid, eschewing the high life for three-star hotels and nights in front of the TV. The F1 driver market is undergoing a period of transformation and after half a decade away from the sport, the pay driver is returning. 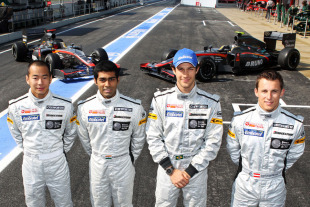 The 2010 driver line-up was one of stark financial contrasts. According to Formula Money estimates, a total of $130.85m was spent on driver salaries during the season, but a massive 72% of that ended up in the pockets of just five drivers - Fernando Alonso, Lewis Hamilton, Jenson Button, Felipe Massa and Michael Schumacher. Upon joining Ferrari, Alonso became the first driver to earn a $40m annual salary, making him the highest paid driver in the sport by a long distance. But there was a wide gulf between the rich and the poor in the F1 driver line-up. Despite Alonso's record salary, the season saw several drivers forego salaries and instead bring cash or sponsorship to their teams in exchange for their seats. It was the first time since 2005 that pay drivers were a major force in the sport. The changing face of Formula One's teams was a significant factor in this change. The smaller new teams who joined in 2010 were often either not willing or not able to pay big money to their drivers, unlike the car manufacturer-backed outfits that they replaced. The poorest of F1's new teams, HRT, was reportedly expecting to make $16m from its drivers in 2010, but the constant shifting of its line-up indicated that achieving that was far from easy. Virgin signed Andy Soucek as a paying test driver, but he quit the team before the end of the year after paying an estimated $1.4m to the team for a very limited amount of time in the car. But it wasn't only the new teams that exploited this source of revenues and even an established team like Renault took advantage of the sponsorship opportunities brought to it by signing Russia's Vitaly Petrov. He scored 109 fewer points than his team-mate Robert Kubica during the year, but with Russian sponsors contributing an estimated $5.5m to the team in addition to a reported $10m raised by Petrov's father, his presence brought the team a different kind of assistance. Renault was quick to emphasise that Petrov's contribution to the team was more than just monetary. Team principal Eric Boullier stressed that "we actually had drivers who could have brought twice the amount Vitaly is bringing with him" while owner Gerard Lopez claimed that although Petrov was not a "paying driver" he admitted that "the sponsors that he brought or that came have been very good sponsors." This denial that Petrov was a pay driver, despite his sponsorship value, highlights some of the stigma attached to the label. To many it automatically equates to a young driver with little talent and a big wallet, which may be what drove Lopez to insist that Petrov shouldn't be placed in that category. But it also encompasses a second tier of more talented drivers, often from emerging markets, who can bring a team a host of sponsors from their home nations. They may not be personally signing the cheque, but the main attraction of these drivers is often a financial one. 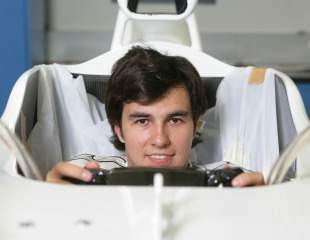 Several other rookies will be following in Petrov's footsteps in 2011. Mexico's Sergio Perez will bring an estimated $10m from local telecoms company Telmex with him to Sauber, while Williams have dropped promising Nico Hulkenberg in exchange for well-backed Venezuelan Pastor Maldonado. Maldonado was GP2 champion in 2010, so doesn't come without a pedigree, but the fact that he was the best-backed driver on the GP2 grid certainly didn't hamper his progress. With an estimated $3m of personal sponsorship behind him he had a distinct advantage over his rivals. It is believed that his Venezuelan backers will spend around $15m on Williams in 2011, which will be a big boost to the team as it loses an estimated $44m worth of sponsorship deals from RBS, Philips, McGregor and Air Asia. Like Renault, Williams were also keen to avoid the stigmas of the pay driver label, with team chairman Adam Parr stating that he felt it was "repulsive and irrelevant". He added that "We have never sat a driver in our car who we did not think was ready for F1, deserved to be in F1 and was capable of delivering. The guy has just won the GP2 championship with a rookie team, winning more races than anyone else. The mere fact that we have to talk about this is absurd." 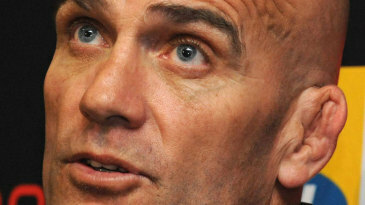 However, Maldonado's on-track record does nothing to lessen his financial attractiveness to the team. One of the main problems with the pay driver label is that it can encourage a public perception that the team is desperate for cash to the extent that it is willing to sacrifice sporting prowess to scrape together a few million dollars more. The reality is not quite so clear-cut for a middle-ranking team like Renault or Williams, which cannot afford to sacrifice performance. If a team has no chance of making it off the back of the grid, it doesn't need to worry about how talented its drivers are, but higher up the grid a few points or podiums brought in by a talented driver can mean millions of dollars more in prize money and sponsorship. A balance between sponsorship and talent has to be found. For this reason, many of the new breed of pay drivers come with impressive CVs. Petrov, Perez, Maldonado and HRT's Bruno Senna are all GP2 winners - exactly the kind of driver who usually moves up into F1 anyway. Their financial backing serves to make them more attractive than their similarly-qualified rivals and it's not difficult to see why they are being snapped up by teams looking to fill a hole in their budget. 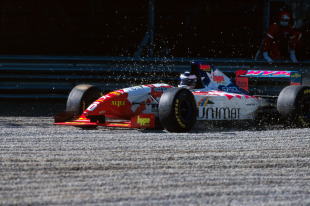 It's a stark contrast from the 1990s, when pay drivers were figures of fun in F1, epitomised by Japan's Taki Inoue, who never scored a point and once got run over by the medical car. Then there were the rich kids, such as Pedro Diniz, the son of a Brazilian supermarket magnate, who brought with him seemingly infinite cash from brands stocked in the family shops. The main problem that F1 faces with the return of the pay driver is that if even talented drivers have to bring sponsors to get a foothold in the sport there is a very real chance that a star talent will fail to break into F1 if he doesn't have the budget to match his skill. But for the drivers that do make it onto the grid they get to showcase their talents in front of F1's power brokers and to become salaried stars themselves later in their career. And despite lingering memories of wealthy failures, it's certainly not impossible for a pay driver to make it to the very top of the podium. After all, seven-times world champion Michael Schumacher paid the Jordan team $150,000 for his first drive back in 1991. He has made that back in salary almost 3,000 times over in the intervening 20 years.